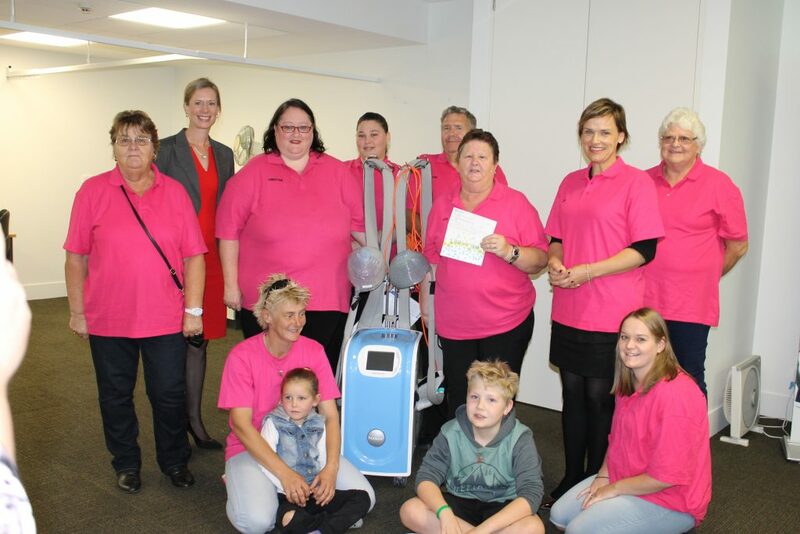 EARLY last month, at the Royal Hobart Hospital, The Pink Army team, along with Opposition Leader Rebecca White and Jen Butler attended an afternoon tea to present a cheque from their fundraising efforts for the Save Our Hair – Save our Identity campaign. The money raised was for a hair cooling system for the chemo ward, 8A at the Royal Hobart Hospital. The cheque was received by Dr Louise Knott. The team raised $11,286.08 through a range of community events, including a car show, quiz, bingo, country and western nights and raffles. We would like to thank all organisations that supported the fund-raising efforts. The organisations were from Brighton, Kingston, Sorell and New Norfolk. It was fantastic to receive this support from the all of these areas. The Royal Hobart Hospital contributed additional funds to those raised to enable the purchase of ‘Frosty’, the name of the machine, which was purchased in November 2016, as there was a high demand for the machine to be in action. Frosty has been flat out working in the chemo ward since the purchase. We are delighted our goal was achieved and a big thank you to Lyn Garlick for inviting all of us on this journey, and to all the pink army team.